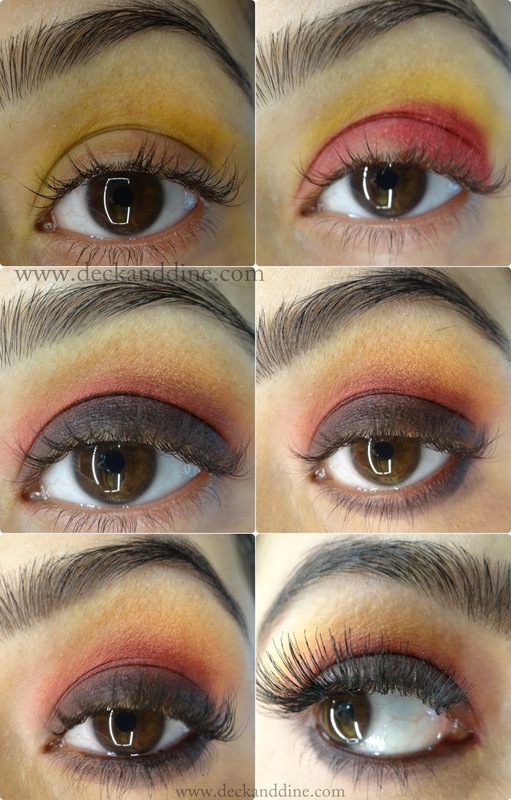 Home autumn eye makeup eye makeup eye makeup tutorial fire smoky eyes look of the day MakeUp NYX Liquid Suede Cream Lipstick Kitt11en Heels red yellow black eye makeup Step by Step Tutorial: Autumn Burnt Red-Yellow-Black Eye makeup.. !! Step by Step Tutorial: Autumn Burnt Red-Yellow-Black Eye makeup.. !! 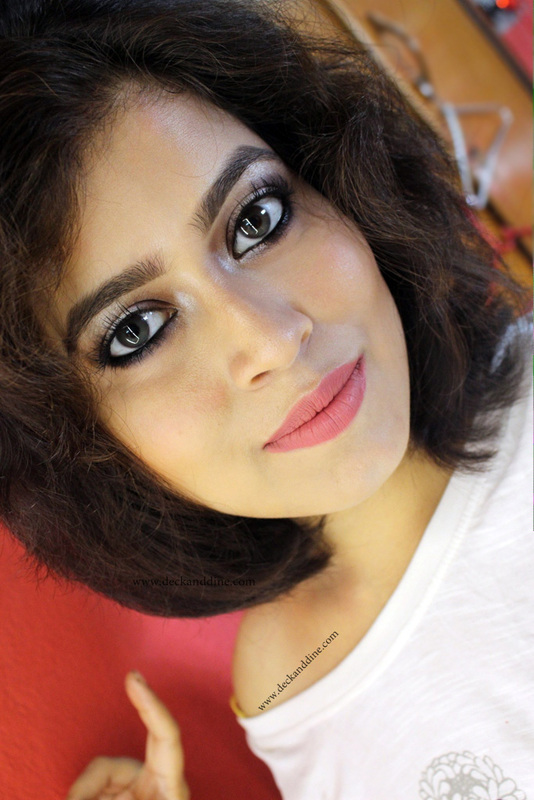 Today I am back with a tutorial of a look which even I wasn't too sure of; I mean, I was so confused about it. I started creating it after getting inspired from autumn maple leaves, but seeing the final look, “fire smoky eyes” is what came to my mind. For this look I did eyes first; so that if there are fallout, I can easily clean it off. Apply eye primer (if needed). Now take a yellow eye shadow and apply on the crease area blending towards the brow. The next is a red eye shadow which I have applied on the lid and blending towards the crease. Then taking a black eye shadow, I just applied on the upper lash line and blended the edges. Right below the lower lash line, apply black eye shadow and line the lower lash line with kohl. Groom your brows. Finally apply coats of your favorite mascara. You can apply false lashes too. Apply a peachy blush on the cheeks and also your favorite highlighter on the high cheek bones and nose bridge. I skipped contour for this look.